NOW, THEREFORE, THE UNDERSIGNED ARBITRATOR…. Arbitrators determine remedy in these unconstitutional courts. Not a jury of peers. There are so many children harmed by and in family court separations of the UNITED STATES, INC. One of the many harmful aspects is when one parent does not and/or cannot pay for “Child Support.” From stories I have heard from friends, these courts tend to PRE-position themselves as the man is “wrong” and “harmful” with a severe anti-masculine bias. The courts likely do this to stop any direct action that men tend perform -viewed as negative by women/judges- to access to their children. That -itself- was very disturbing a psychological pattern of the court agents/officers and agencies. Title 28 U.S. Code §1738B – Full faith and credit for child support orders. Full Faith and Credit is a term of art and is underwriting. Anything that requires the FULL FAITH AND CREDIT (OF THE UNITED STATES) is a debt negotiable instrument worth itself as an accounting line item. (B) a person 18 or more years of age with respect to whom a child support order has been issued pursuant to the laws of a State. Clearly, a “child” means a legal “PERSON” -which means an artificial corporate trade name insurance franchise. 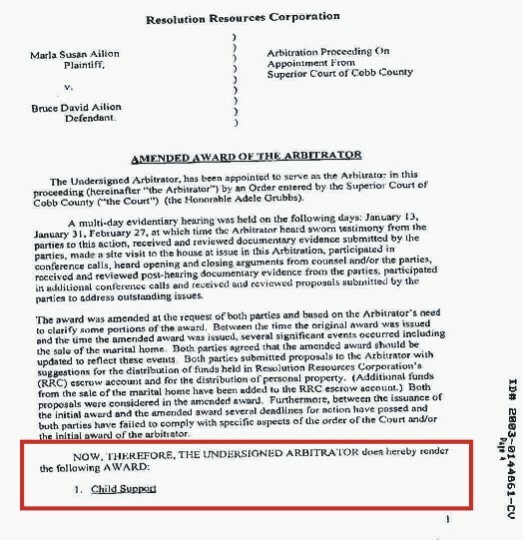 Also, We find that Child Support Orders are “Issued“, as in like negotiable instruments are ORDERED and ISSUED, by U.C.C. 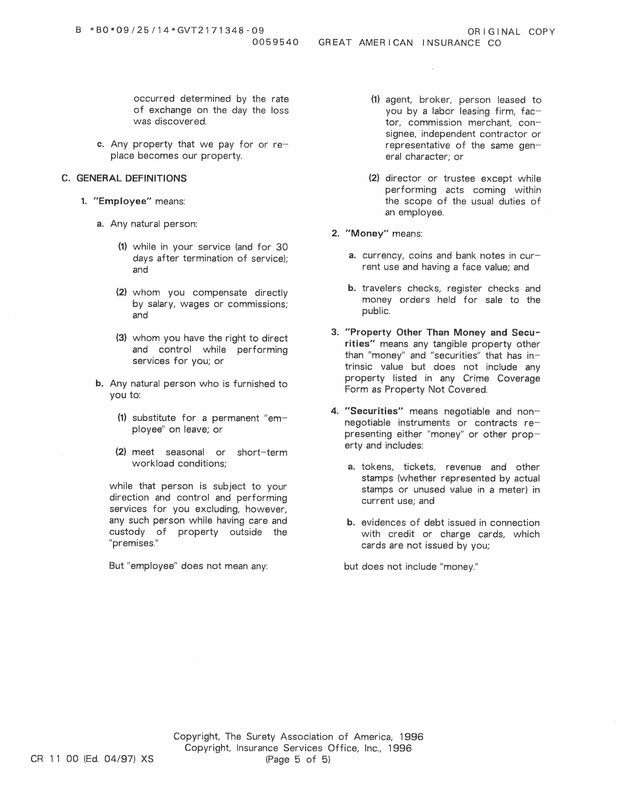 Article 3 – Negotiable Instruments § 3-104 NEGOTIABLE INSTRUMENT and § 3-105 ISSUE OF INSTRUMENT. Compounding, we next see that all these WORDS in the “LEGAL CODE” are UPPER CASE, pointing to DOG LATIN, BASTARDIZED ENGLISH – The Justinian Deception. (2) The term “child’s State” means the State in which a child resides. This translates into The Child is Property of the State because they have a LEGAL FICTIONAL PRESENCE that “resides” in the DC Municipal Corporation represented by THE STATE. The child is property of the State. We see how this is true in the full disclosure meaning of a MARRIAGE CERTIFICATE. All the human rights abuses that occur by U.S. Child Protective Services is all the reason to have them completely shut down forever. Those “agencies” are kidnapping for profit, no joke. (4)The term “child support” means a payment of money, continuing support, or arrearages or the provision of a benefit (including payment of health insurance, child care, and educational expenses) for the support of a child. Who is doing the payment? you? or the court? because that confusion is a gotcha… the court is creating the pre-payment by ordering the money. We know that MONEY means LEGAL TENDER via Title 31 U.S.C. §5103, and the Washtenaw County PUBLIC OFFICIAL BOND Insurance Coverage Documentation. (ii) an initial order or a modification of an order. Another name for an “Order of a Court” is called a WARRANT. An “order of a Court” is literally a “Money” Order -by U.C.C. Article 3 -Negotiable Instruments! A warrant — or check — is a legal, negotiable instrument drawn against the state treasury in place of a commercial bank. State agencies disburse funds to vendors or other payees by issuing warrants from the state treasury that bear the State Treasurer’s unique Routing Number and are signed by the State Treasurer. The Child Support Order is an order of the Court (the state agency) disbursing funds (child support money order checks) to vendors (contestants/defendants/plaintiffs) by issuing (28 U.S.C. § 1738B) a warrant (the child support order) from the state treasury. Every Child Support Order has the State Treasurer’s unique Routing Numbers attached. The authority for issuing debt against the “STATE STATUTORY CITIZENS” and producing warrants (child support money orders) resides with the highly unconstitutional family courtrooms (which are NOT courts; as they are merely administrative bankers offices). (B) a State or political subdivision of a State to which the right to obtain child support has been assigned. This section of the legal code is highly disturbing. It calls everyone a CONTESTANT, as if the child’s life were some kind of fictional game. Furthermore, the State has the authority to pay itself for anything it deems reasonable no matter how unreasonable. There does not seem to be any recourse nor limitations to the criminality in the system -designed into the legal code here. The State seems to be enabling itself to issue unlimited amounts of debt to itself against the “STATUTORY CITIZENS” of the state. (7)The term “court” means a court or administrative agency of a State that is authorized by State law to establish the amount of child support payable by a contestant or make a modification of a child support order. A “court” refers to a “real” common law court that simply does not exist in the UNITED STATES, INC. So “court” was crossed out for clarity purposes. These “family courtrooms” are ADMINISTRATIVE AGENCIES!!! They have no lawful “judicial” jurisdiction. These “courtrooms” are U.N. Competent National [Military] Tribunals. We move out of DEFINITIONS into other Processes and Arrangements. Courtrooms of a State does not have jurisdiction to ENTER such a MONEY ORDER, however, “if” it does, the court is simply issuing a debt ON BEHALF OF THE CONTESTANT!!!! It is the Contestants job to deposit the CHILD SUPPORT MONEY ORDER WITH THE COURT OR IN THE BANK… the funds are literally drawn against the STATE TREASURY DEBT UNDERWRITING FACILITY -as documented by the STATE OF WASHINGTON – TREASURY. The word PERSONal -is in “PERSONAL JURISDICTION”- refers to the artificial corporation person. PERSON is another name for an INSURANCE FRANCHISE of operating a HUMAN BEING within their fraudulent legal fictional debt slavery system. (f)RECOGNITION OF CHILD SUPPORT ORDERS.. This entire section refers to “ISSUING” warrant money orders against the State Treasury 10 times. 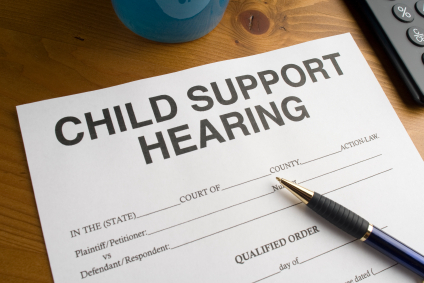 In a proceeding to establish, modify, or enforce a child support order, the forum State’s law shall apply except as provided in paragraphs (2) and (3). In interpreting a child support order including the duration of current payments and other obligations of support, a court shall apply the law of the State of the court that issued the order. In an action to enforce arrears under a child support order, a court shall apply the statute of limitation of the forum State or the State of the court that issued the order, whichever statute provides the longer period of limitation. First, CHOICE OF LAW refers to the fact that Family Courts are ENTIRELY UNCONSTITUTIONAL and that using a Family Court is ENTIRELY the choice of the contestants. This holds true even after the fact. All signatures, agreements, and contracts can be revoked ex-post-facto. Best not to get into a Family Court to start. Second, IN GENERAL refers to the Family Courtroom as a MILITARY PROCEEDING. They have Gold Fringed Flags meaning statutory commercial military. General is a Military Position. There are many Generals… Attorney Generals… Secretary Generals… US Military General. Third, the Family Courtroom is referred to as merely a FORUM for (the operation of) a STATE’S “legal code.” And yes, there you have in folks, in their own words. Next, “a court shall apply the law of the State of the court that issued the order.” Here is definitive evidence that the LAW OF STATE OF ISSUANCE OF ORDER is a CHOICE OF LAW. It is not REQUIRED to be followed… it can only be followed voluntarily. “Money Orders” are not required to be paid by “contestants” only the court itself acting on the contestant’s behalf. Again, they issued these negotiable instruments for out benefit, so we need to use them. By not using them, the courtroom will deposit them for their own benefit and just not tell you. and lastly, “a court shall apply the statute of limitation of the forum State or the State of the court that issued the order…” means that we only have a limited amount of time to collect the state issued warrant to pay for the child support. By my best estimation, but without statutory basis, it should be done within 90 days, and it would be great to be done within 10 business days, and best be done within 3 business days. If you have an attorney, you should ask them and they are required by law to tell you how to do it. If they don’t and/or they can’t, their legal incompetence is no excuse. Either Attorneys are knowingly committing these scams or they are criminally negligent of the scam that the courts are committing. any bill (which they are required to return the over payment). and with the ISSUING FAMILY COURT. These should be made via U.C.C. Article 3 Negotiable Instruments – §3-501 PRESENTMENT. This is done the same way as depositing any “check” as every check is a “warrant” if it came from the state! This signature assumes that you have no other Identity and have done zero work to correct your legal status/relationship. Some legal work may change your signature stylings. All these autograph additions are important BTW. If you don’t know them, you should. “without prejudice” means that the government corporation cannot apply codes that you haven’t explicitly agreed to. “all rights reserved” means that your basic human rights are not waived for any reason. “by:/s/” means that you are a living breathing human being. placing your signature before an “X:” means that one is deceased. “©” always copyright ones signature as it is the copyrighted artwork that makes debt worth anything, according to law. and Attorneys use WITH PREJUDICE to steal the signature artwork on WARRANTS such as explicitly as Family Courts do! Lawful names are formatted NOT in upper case. UPPER CASE NAMES are reserved for legal fictions. so the name JOHN QUINCY DOE would become john-quincy: doe. Finally “authorized representative U.C.C. 3-402b1” has so much importance it cannot even be described with words. This means that you -as the human being- are not responsible for the debts of the ARTIFICIAL PERSON CONTESTANT. If you are a world citizen, other signature and titles may be necessary and /or useful. Why this is important is that all CHILD SUPPORT ORDER are issued against the ARTIFICIAL PERSON CONTESTANT. But the warrants-orders are also worth the debt they claim on them. So, being the authorized representative of the warrant means that the ARTIFICIAL PERSON is liable for “paying it” rather than the Human Authorized Representative. Put another way, The ARTIFICIAL PERSON CONTESTANT is a second you. it is like a monopoly game piece that represents you, the player, but on the board. It is a corporation that is designed to Represent you within their LEGAL FICTIONAL game. They even call people “CONTESTANTS” like a game. The second corporate game piece”you” is a trade name. It acts in DEBT COMMERCE so you don’t have to. Their ARTIFICIAL PERSON represents you within THEIR legal debt slavery system. Being AUTHORIZED REPRESENTATIVE means that they court CANNOT hold anything but the ARTIFICIAL PERSON accountable for the DEBT… and issuing debt is very very easy. Anyone can issue any amount they want. Debt is just an accounting line item. So, call the courtrooms out. Call the Attorneys out of their scam. Make a U.C.C. Article 3 § 3-501 Presentment of the CHILD SUPPORT MONEY ORDER to the FORUM of STATE LAW. The FAMILY COURTROOM FORUM OF STATE LAW created the debt; they are liable for it… for the benefit of your child. exactly. Shame on the United States/United Nations. ALL GROUPS LET’S GIVE A COMPLAINT TO GENEVA HUMAN RIGHTS COUNCIL. LET’S NETWORK/ FOR NATIONAL JUDICIAL ACCOUNTABILITY BILL. This book exposes attorneys, in collusion with judges, violating constitutionally protected rights and perpetrating crimes under color of law with impunity.